Huge bronze doors — one of several sets located throughout the shrine — swing open to reveal the worship space. Pews of rare African mahogany rest on a gently-sloping floor allowing an unobstructed view of the Main Altar for all who visit. 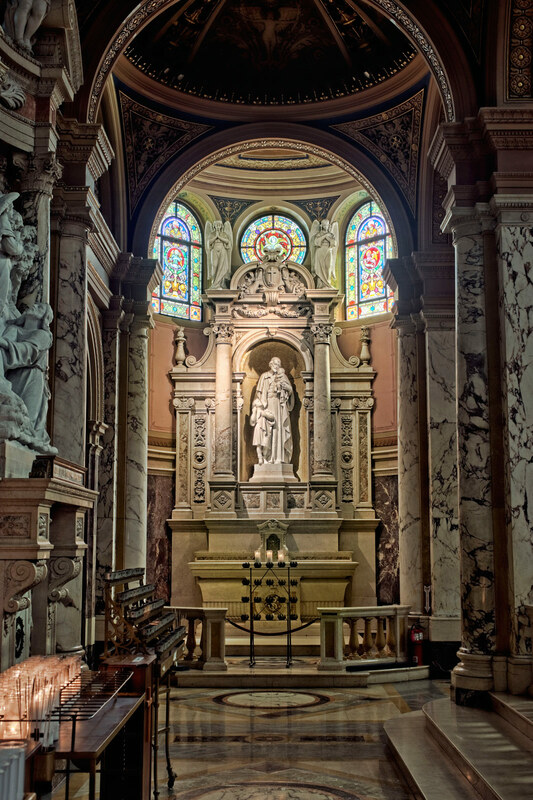 The focal point of the altar is a nine-foot marble statue of the Blessed Mother which was personally blessed by Pope Pius XI before being shipped to the United States. 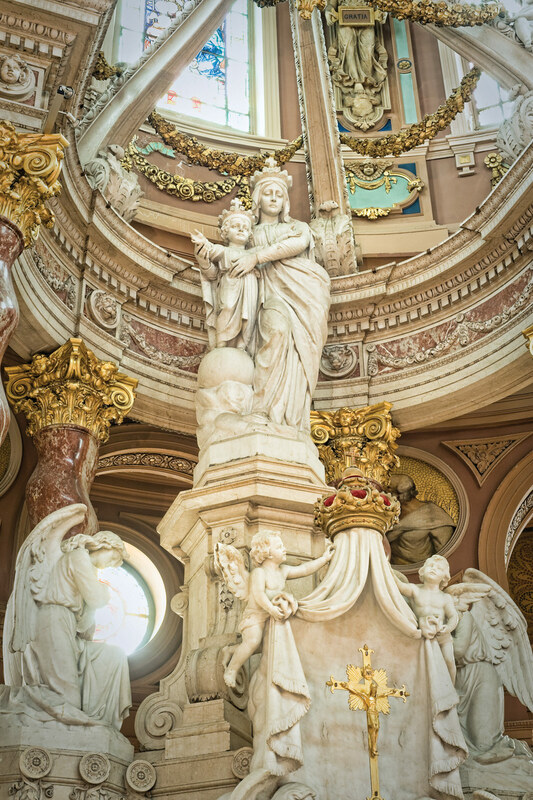 A gracefully unfurled canopy supports a large gold cross held aloft by four angels. Of particular note are the four columns surrounding Our Lady. 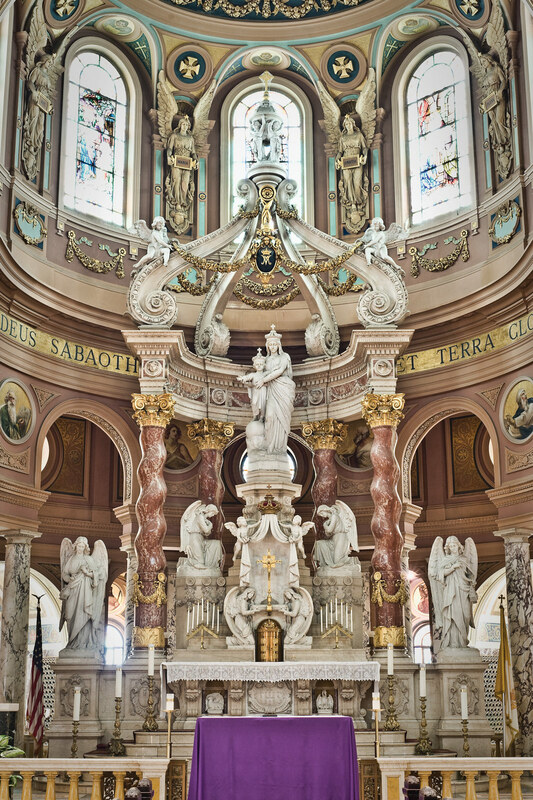 The swirling red marble structures are patterned after similar columns seen in St. Peter's Basilica in Rome. 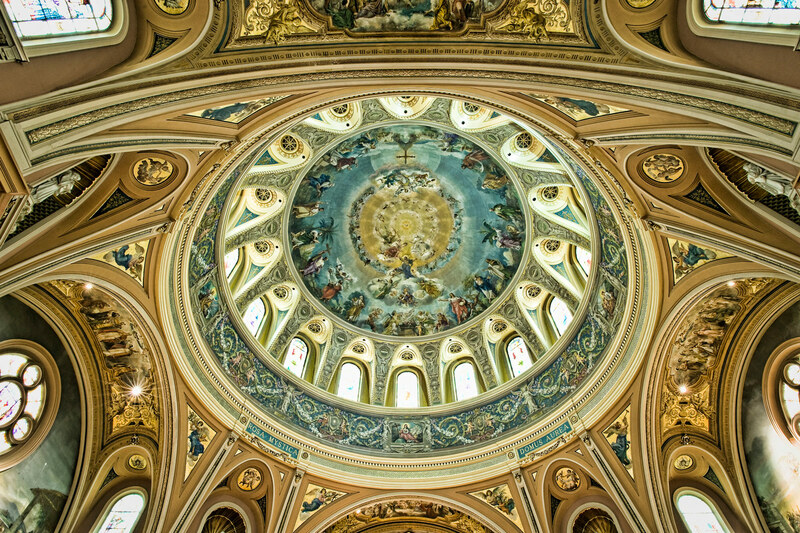 From the choir loft to the dome, the ceiling of the Basilica is covered by five giant murals. 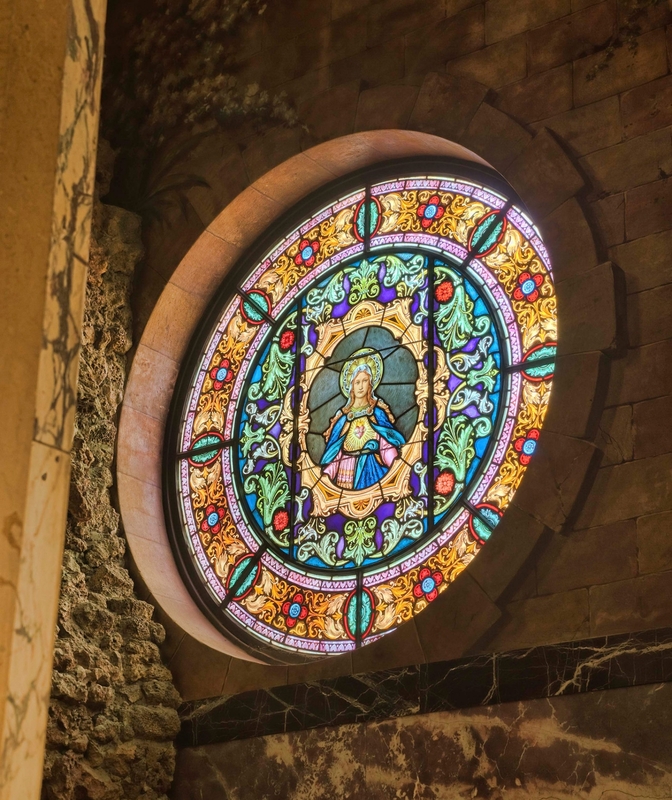 Beginning at the loft, they depict Mary as: Queen of Patriarchs, Queen of the Apostles, Queen of the Angels, Queen of the Prophets, and Queen of the Martyrs. But of all of the Shrine's many breathtaking works of art perhaps the most dramatic appears within the dome. Measuring 80 feet in diameter and close to 120 feet from the floor, the painting of the Assumption and Coronation of the Blessed Mother is a true masterpiece. 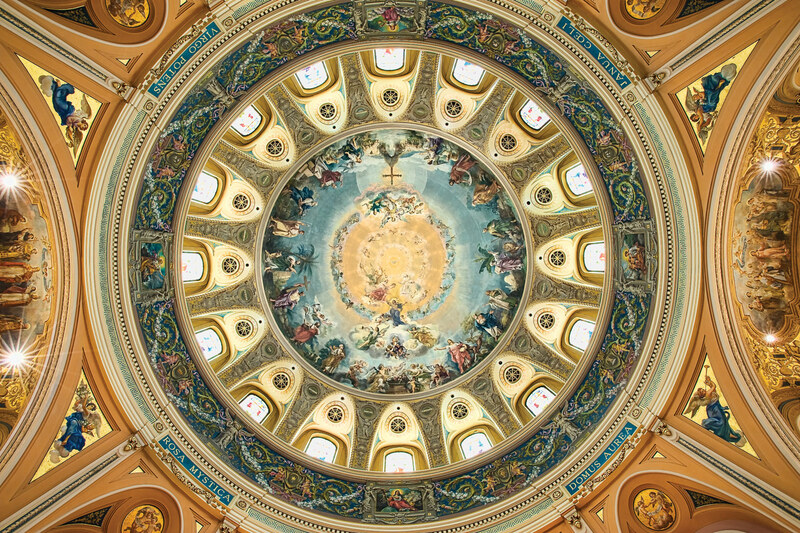 Around the dome's outer edge, the 12 apostles and three archangels are shown, while an angelic host carries Mary heavenward. Above her, the Holy Trinity awaits her arrival. The dove, symbolizing the Holy Spirit is at the center of the work, and, fittingly, the apex of the Shrine. 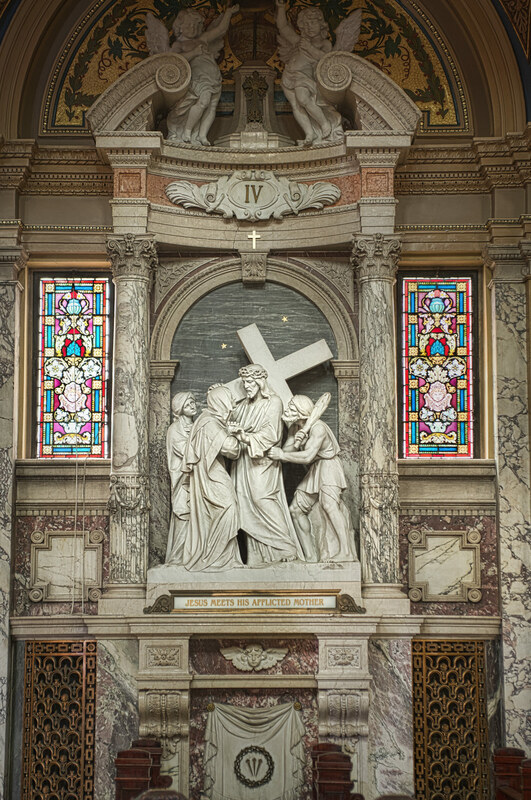 Flanking each side of the sanctuary, fourteen Stations of the Cross, each an example of impeccable craftsmanship, consist of life-sized figures in scenes carved from a single piece of marble. The Italian sculptor responsible for their artistry, took one year to complete each sculpture, using painstaking detail to depict the powerful emotions of Jesus' last hours on earth. One station in particular, Jesus Meets His Afflicted Mother, holds a place of honor in the Basilica story. This station held special meaning for Father Baker and he could often be found in front of the sculpture, contemplating the powerful and emotional scene. 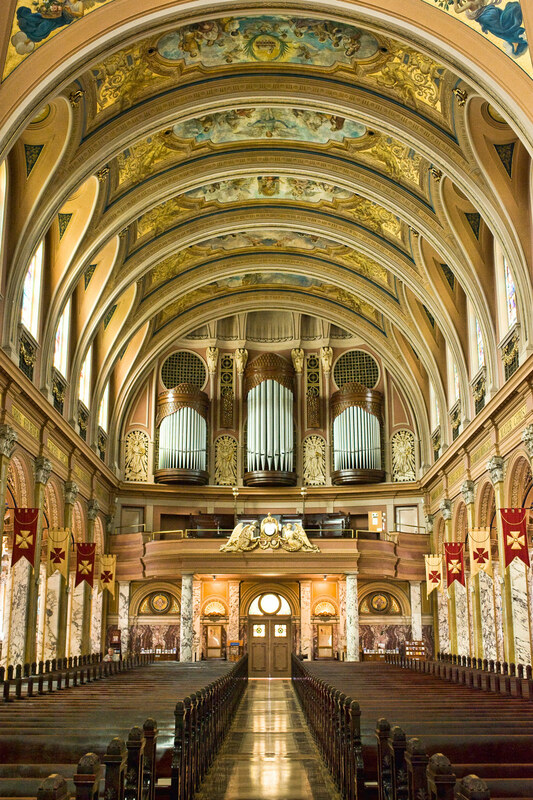 Consistent with the architectural styles of many churches, the Basilica features a number of other altars along its perimeter. 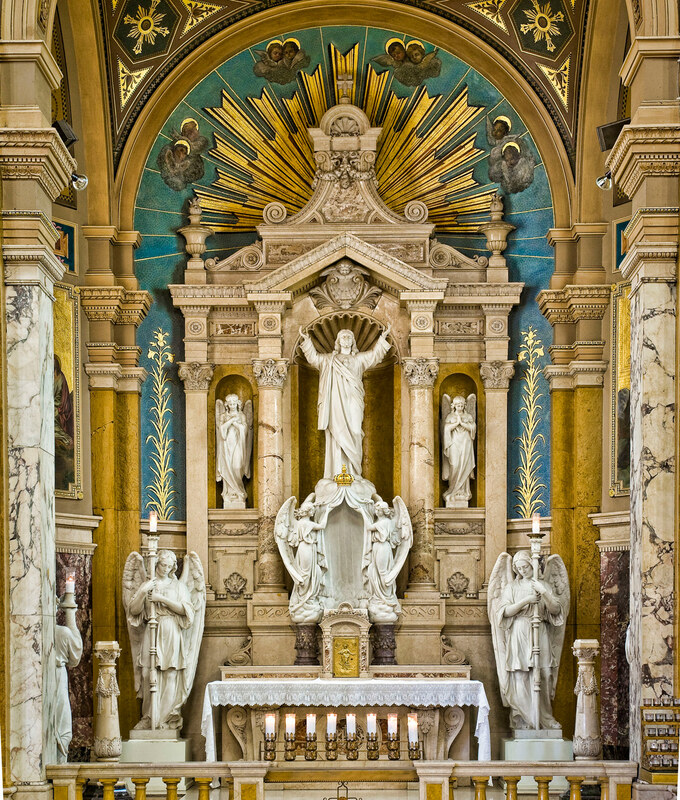 Behind the main altar, a total of seven smaller altars can be found. 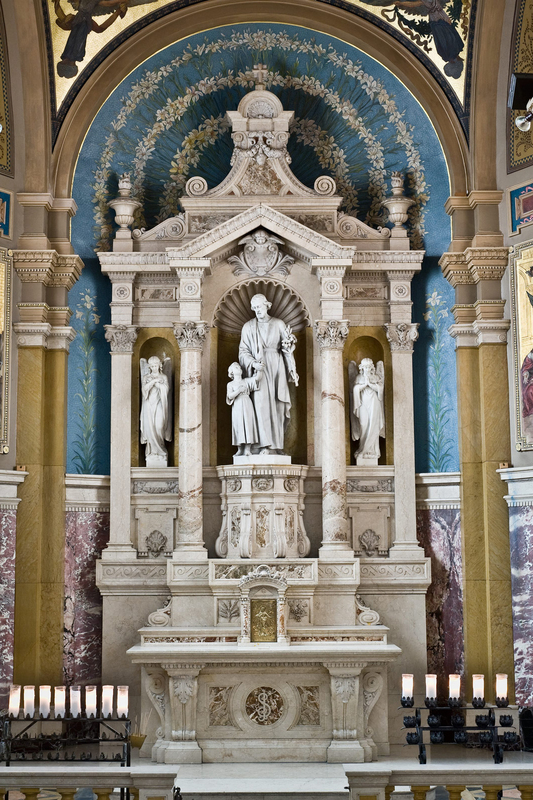 Located on the west wall is an altar dedicated to St. Joseph, depicted holding the hand of the Christ Child. Murals surrounding the altar tell the story of Joseph's life, depicting his carpentry shop, the dream of the angel, the espousal to the Blessed Mother, and his death. 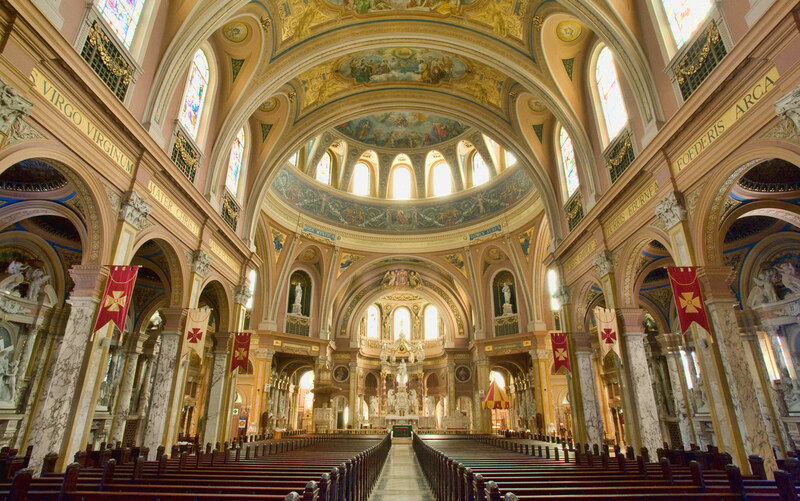 Exquisitely detailed stained glass windows complement and enhance the marble and painted work inside the Basilica. The hundreds of intricately designed panels tell stories and illustrate characters and themes of holy significance to complete Father Baker's vision by casting an intimate glow over every corner of the Shrine.